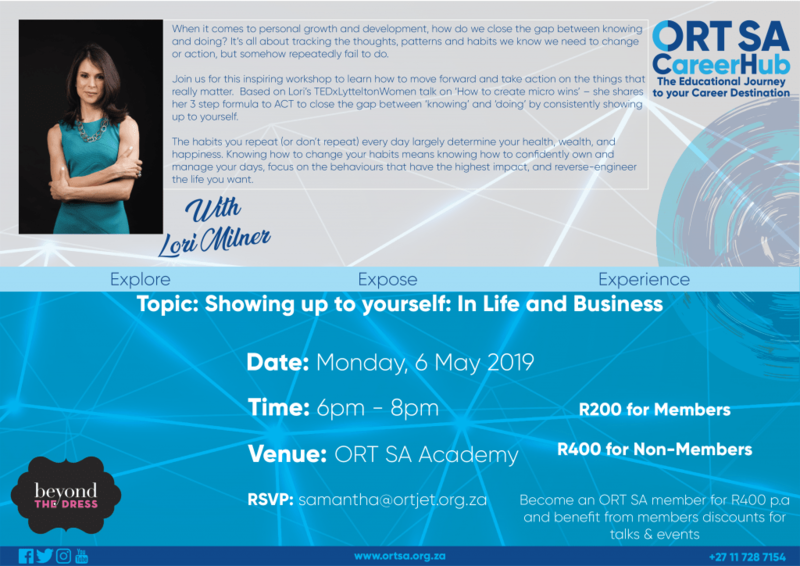 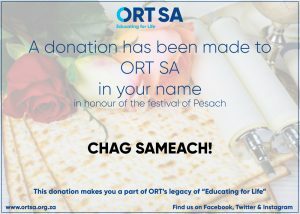 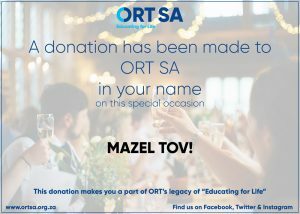 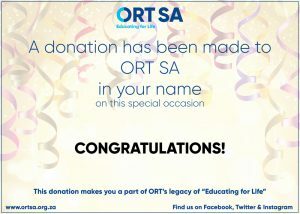 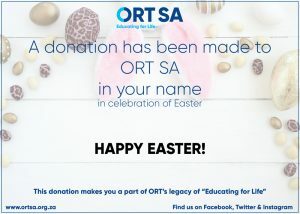 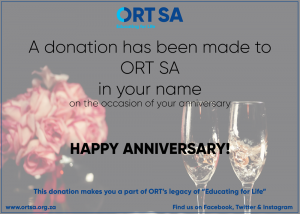 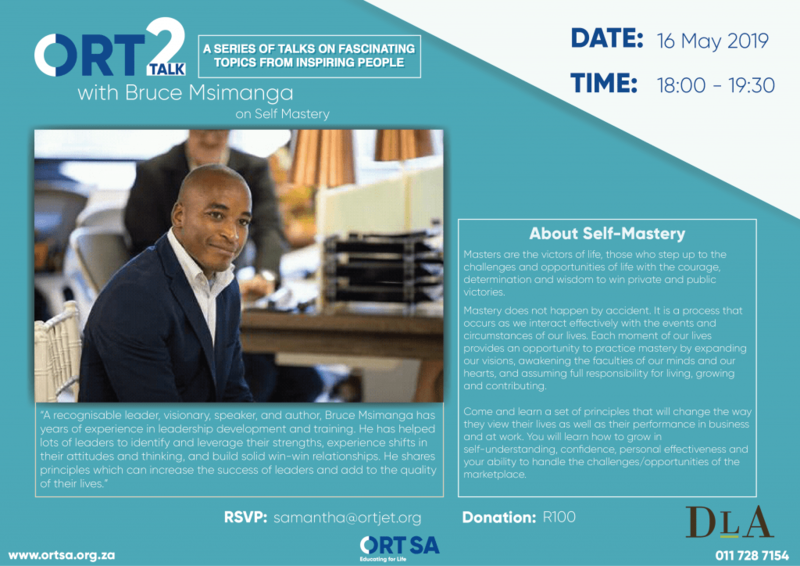 Send an ORT SA or ORT JET gift E-card for any occasion. 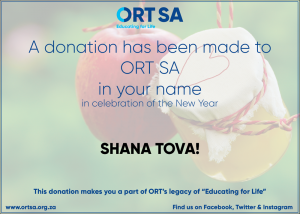 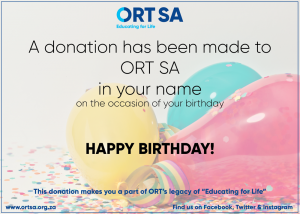 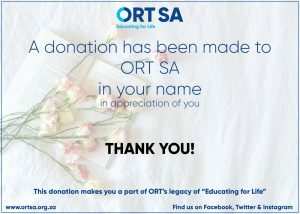 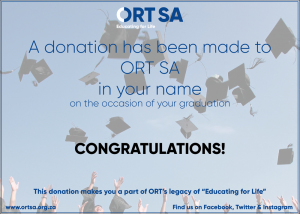 Your donation makes you a part of ORT’s legacy of Educating for Life. 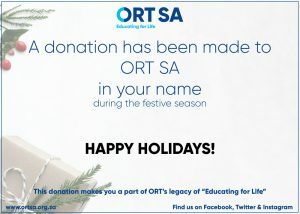 Specify the recipient e-mail address and send him or her a personal message along with your chosen E-card. 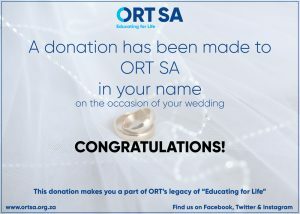 Personalised Gift Certificates available – please contact us to find out more.